The Sentiment Trader shows sentiment based on real open positions: the number of traders who are currently long or short. 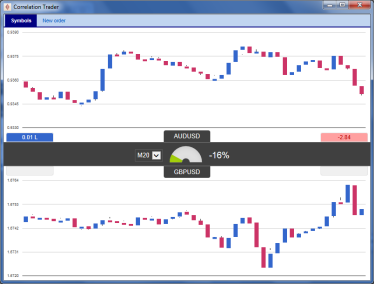 The app also shows historic sentiment plotted against price, and a dashboard of current sentiment on multiple symbols. 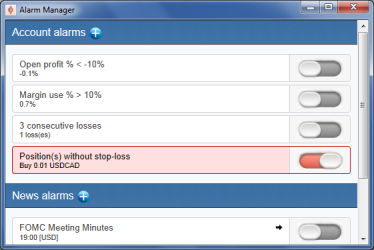 The Alarm Manager is a personal trading assistant which can notify the trader - or their followers on social media - about events, and carry out any number of automated actions such as opening positions or sending email. Excel RTD puts real-time account, ticket, and price data into Excel using simple formulas - no macros, no programming. Traders who do have basic programming skills can also the app to send trading commands from Excel (or any other COM environment). Malte Kaub looks at the different features of the MT4 Accelerator Pack. If you would like more information, please contact your account manager. If you are a Blackwell Global Silver, Gold, Platinum or Diamond client, you can get access to the MT4 Accelerator pack. Please note that you will need to download a new version of MT4. This can be requested from your account manager.